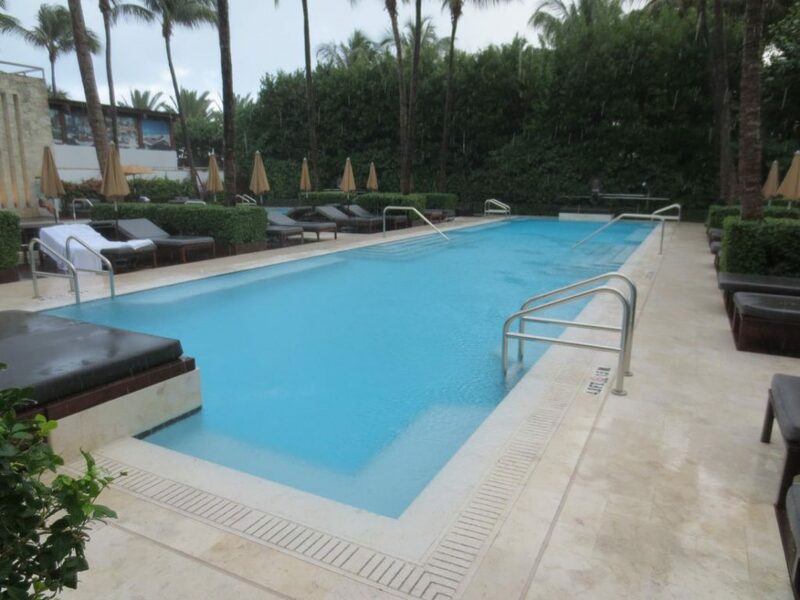 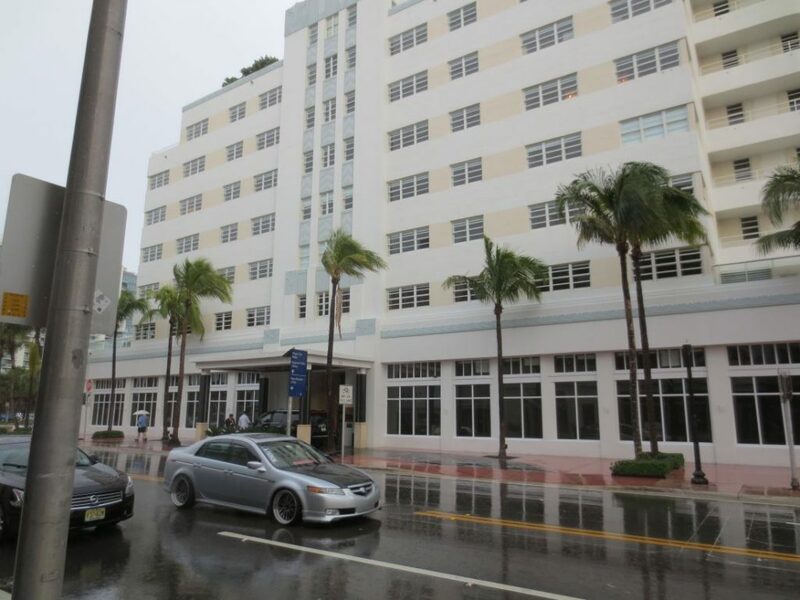 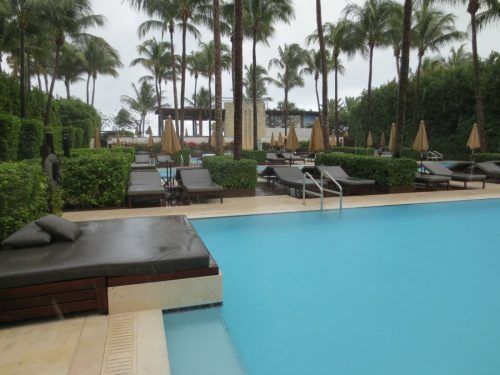 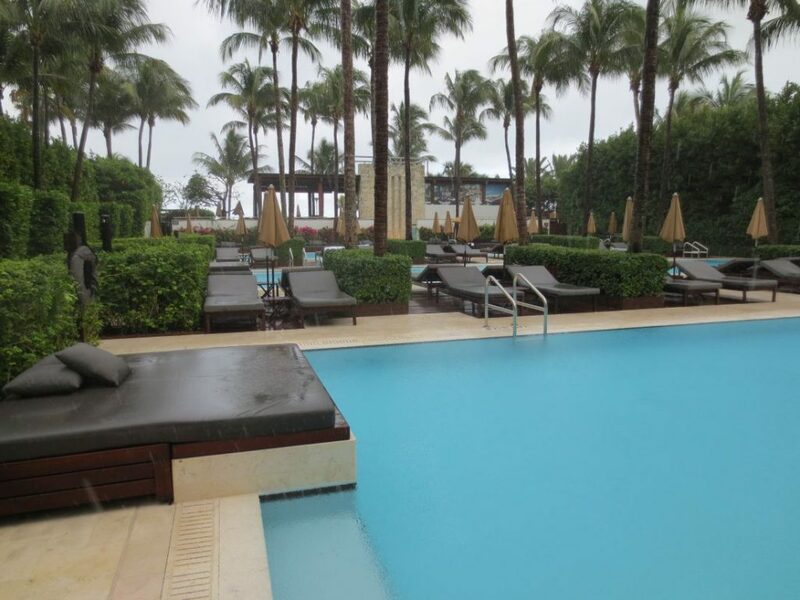 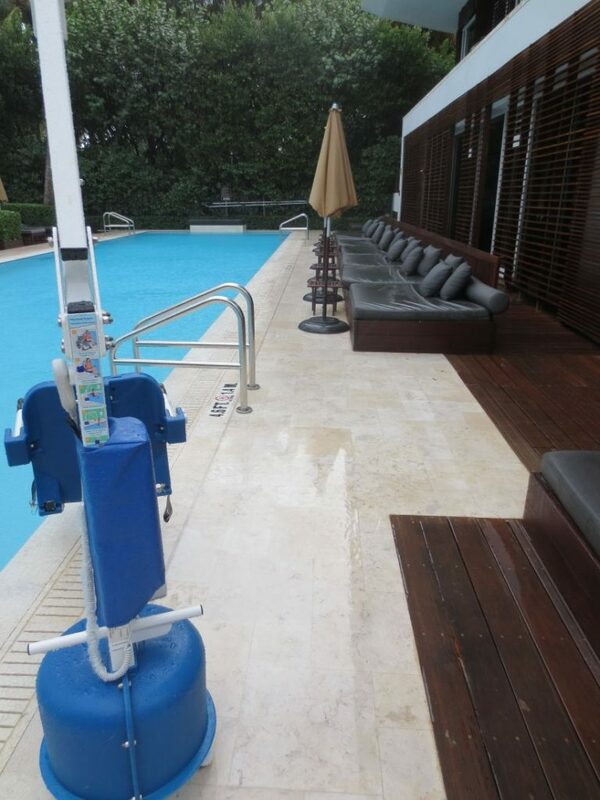 This boutique hotel in Miami Beach wanted a light color, non-slip natural stone pool deck for their three pools. 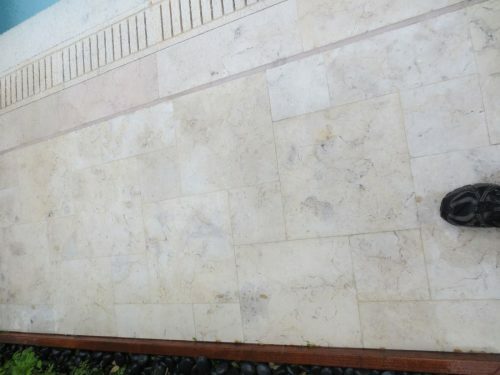 Stonetrade supplied Desert Cream Limestone in a sand-blasted finish in 2013. 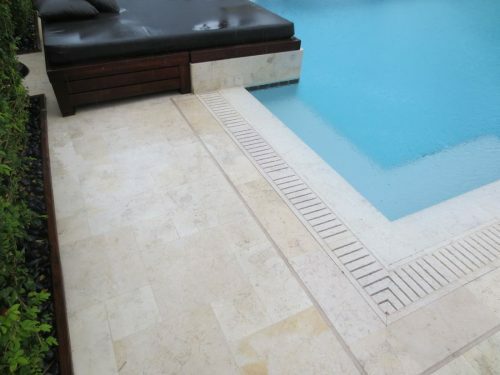 The natural fossil patterning make it unmistakably natural stone, and Desert Cream is a dolomitic, Class 3 limestone : tough & chemically resistant. 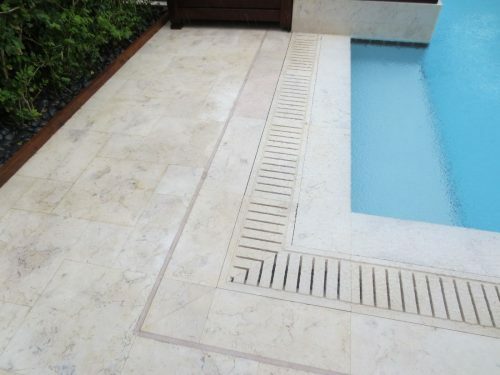 The hardest part of the job was the french drain around the perimeter, which involved CNC cutting multiple narrow slots less than 1” apart through solid stone.